Our experience when taking Saigon Chinatown Walking Tour with Inspitrip? The scrumptious dishes when going on Saigon food tour that you should not miss! 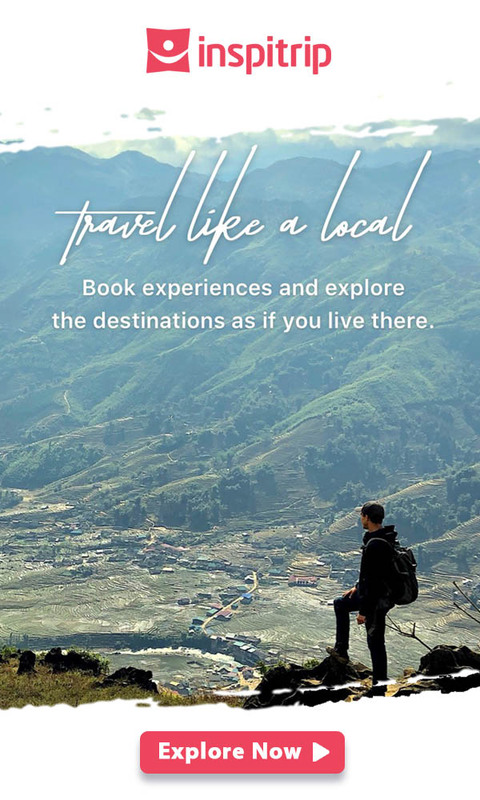 We could not have had such an unforgettable experience without the passionate and enthusiastic support of the Inspitrip guide. Due to the well-prepared travel plan and information from an insider, we explored Saigon Chinatown from a very unique perspective. Our day started with a delicious bowl of noodle soup on Nguyen An street from a restaurant that has been run by a Chinese family for more than 50 years. Though there are many options, including pork ribs, goat, and shrimp, my favorite are the noodles with pork char xiu(“xa xiu”) while my friend preferred the wonton (“hoanh thanh”) soup. And we all loved that so much. 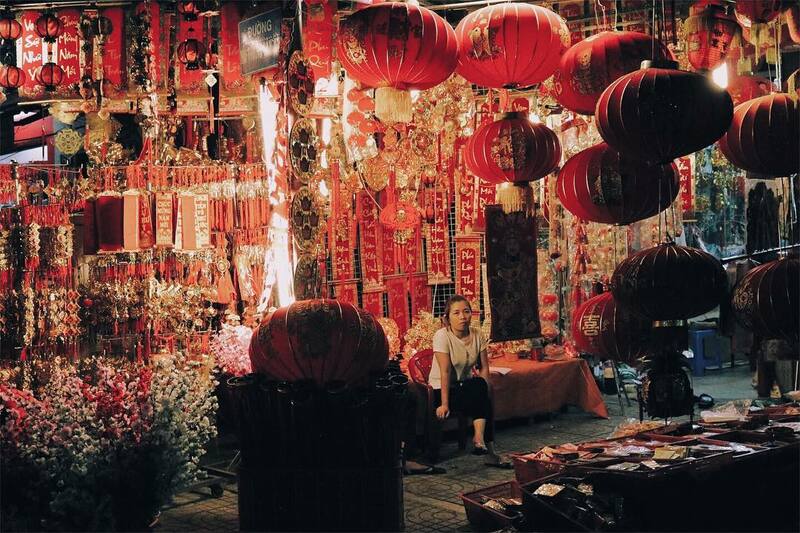 Next, we strolled through the colorful street of pet fishes and the bustling street decorated by the red lanterns. In Chinese culture, people believe that fish and red are the symbols of prosperity and happiness. We were also impressed by the hustle and bustle ambience of the two big markets: Kim Bien market and Binh Tay market. Kim Bien market has everything from electronics, to clothing, chemicals, substances, etc, while Binh Tay Market will give you a much better opportunity to learn more about the Chinese lifestyle in Saigon. Binh Tay market is the oldest and biggest market built by French in the 1880s, and its architecture is representative of the convergence of Eastern and Western style. We also stopped at the “Soai Kinh Lam” market, the biggest fabric market in Saigon Chinatown. For those who love to make D.I.Y products like me, this is actually a paradise. You can buy a lot of colorful tailoring items in here. We also visited some famous temples like the Thien Hau temple, Van Phat temple and Ong Bon temple. I had said that the noodle soup and won ton soup are among the highlights of the Saigon food tours. Besides that, you can try these other top-notch foods to really get a taste for the Chinese culture. Along the streets in district 5 like Bui Huu Nghia street and Tran Phu street, you can easily find the food stalls selling ducks. 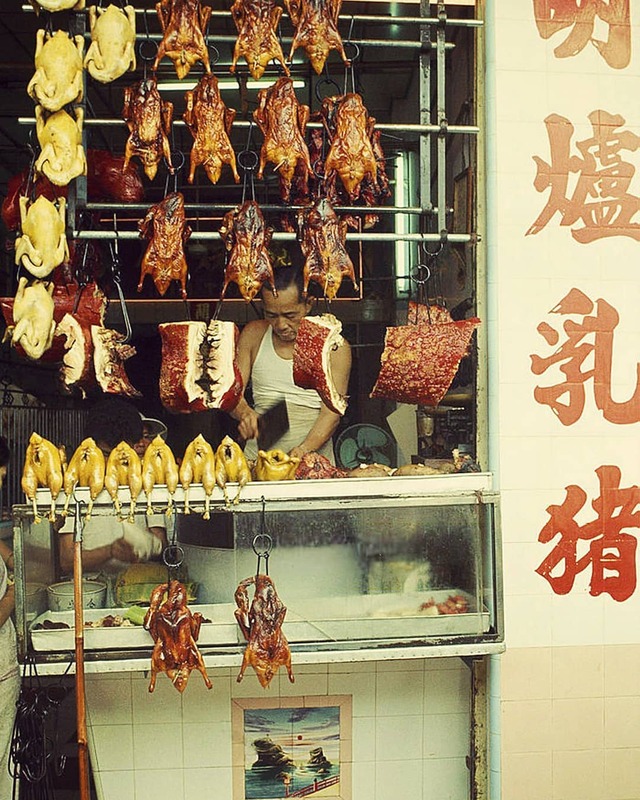 The roasted ducks (“vit quay”) attract both local citizens and foreigners for its crispy, brown skin and tender meat inside. In the past, the roasted duck was just served to the royal and noble classes. It is cooked with the secret recipes utilizing different herbal flavors. The roasted ducks are cooked in rotating open-ovens inside a rack covered with glass, where the ducks are hung around the fire in hours. This unique roasting and marinating style of cooking sets the roasted duck apart from the other delicacies in Saigon Chinatown. The roasted duck is usually eaten with small steamed buns (“banh bao”), Vietnamese loaves of bread, slices of cucumbers and duck dipping sauce. For those who like the spicy taste, the peppers on the brown skin of ducks, mixed with some slices of fresh chilies definitely lifts your mood up. 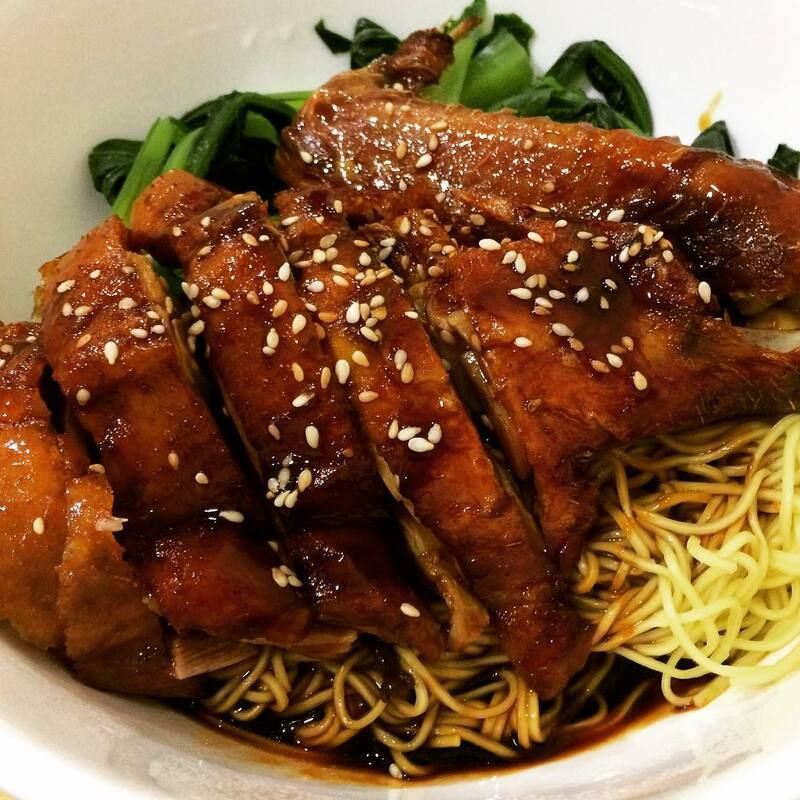 Braised duck with egg noodle (“mi vit tiem”) features dark braised duck leg in a dark brown broth. The Chinese or Hoa people (Chinese-Vietnamese) cook the broth with different herbs and spices, and usually takes hours to cook. The perfect dishes of the braised ducks are decorated with bok choy, some lotus seeds and a part of duck leg on top of the yellow noodles. In order to adapt to the Vietnamese tastes, the braised duck broth in Saigon Chinatown is sweeter and less oily than the original one in China. The best thing in Ho Chi Minh City is that you can try Chinese foods right in the heart of it. There are a plenty of high-end restaurants serving Dim sum, and people of all different backgrounds love to try Dim sum in the small steaming baskets. The best way to eat Dim Sum is by dipping them in soy sauce and taking a sip of tea after you finish your portion. Dim Sum is translated in Vietnamese as “diem tam”, which means “touch of the heart”. Dim Sum is usually served from the morning to the early afternoon. 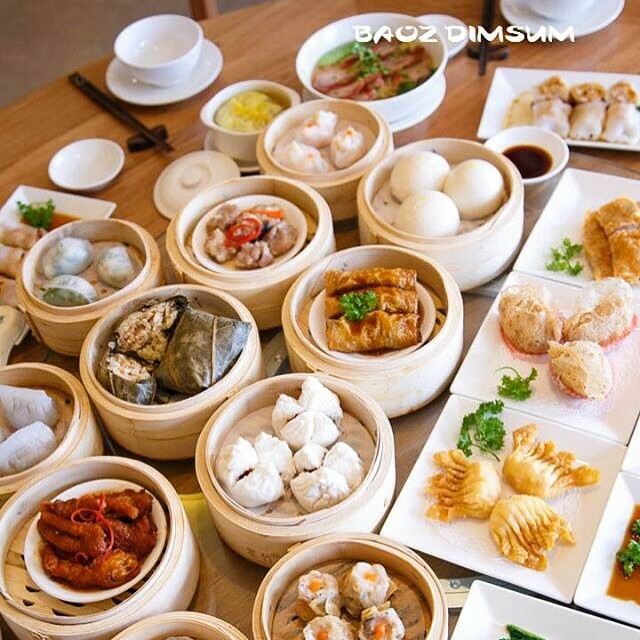 The typical Dim Sum menu includes different types of steamed buns, noodle rolls and dumplings with shrimp, vegetables, salty egg york, char xiu…. This dish is cooked using a very unique Chinese recipe. 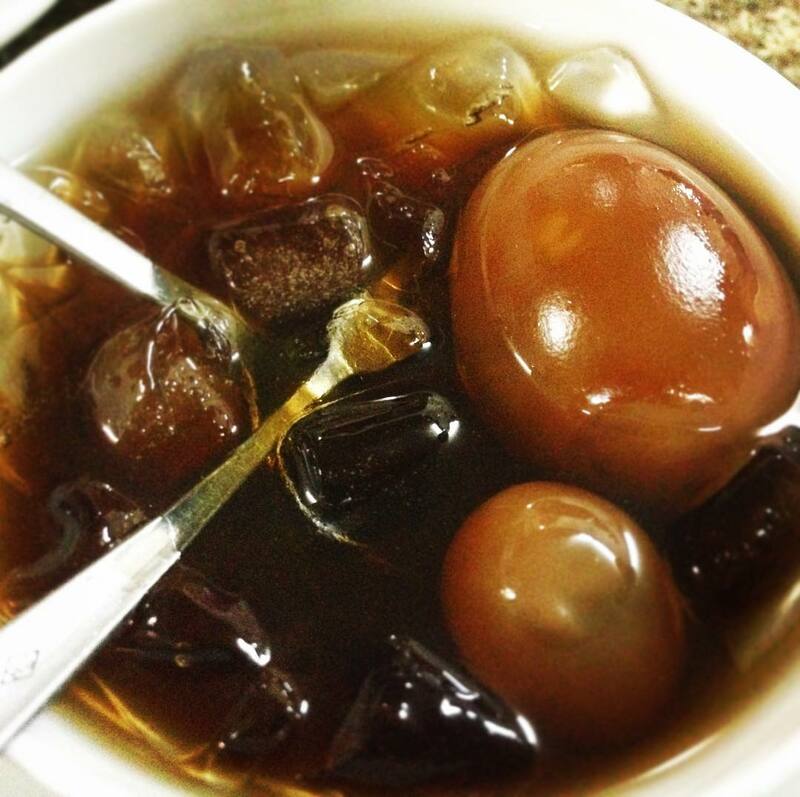 First, the egg is slowly boiled in water mixed with tea for about 2 hours. Then the eggs are peeled and cooked in a mixture of tea and sugar for about 20 minutes. Chinese chicken egg sweet soup is translated into Vietnamese as “che hot ga trung”. It is believed that this food is really good for health and vitality. You can eat “che hot ga trung” hot or with ice. 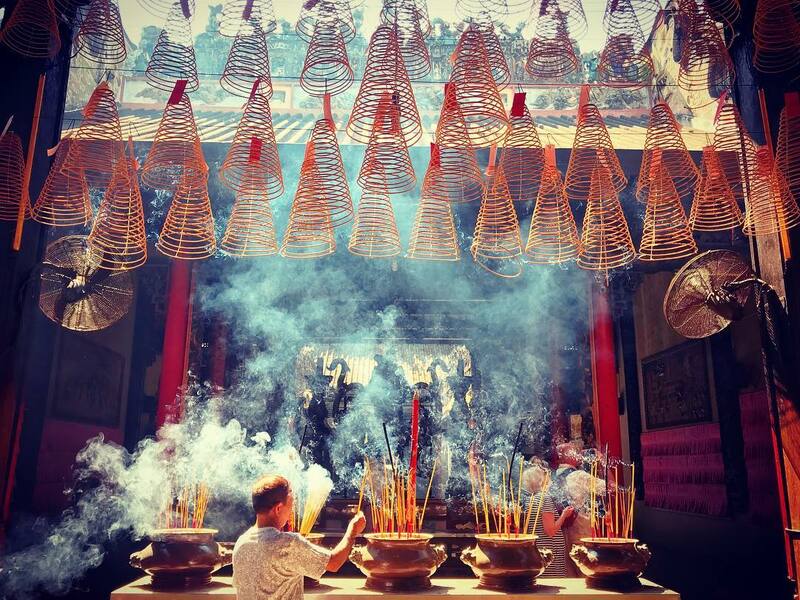 You can easily catch a view of pagodas immersed in smoke from the sticks of incense. People light the incense with the belief that the smoke ascends into the air to deliver their prayers to the Divine beings. Here are some of pagodas you should visit to understand more about the customs of the Chinese and Hoa people. Do not ask Chinese or Hoa people to take a picture of three people. In their culture, the middle one will receive bad luck. Be careful about coming to shops too early, as the shopkeepers are very superstitious about how their business goes day to day. You’ll have the responsibility of bringing good vibes with you or else be quickly shooed away! If you’re looking to give a gift to the local people, be careful to avoid these items: glass (symbolizes separation), a comb (symbolizes death), and a mirror (symbolizes ghosts and death), among others. Good or bad fortune? You decide! 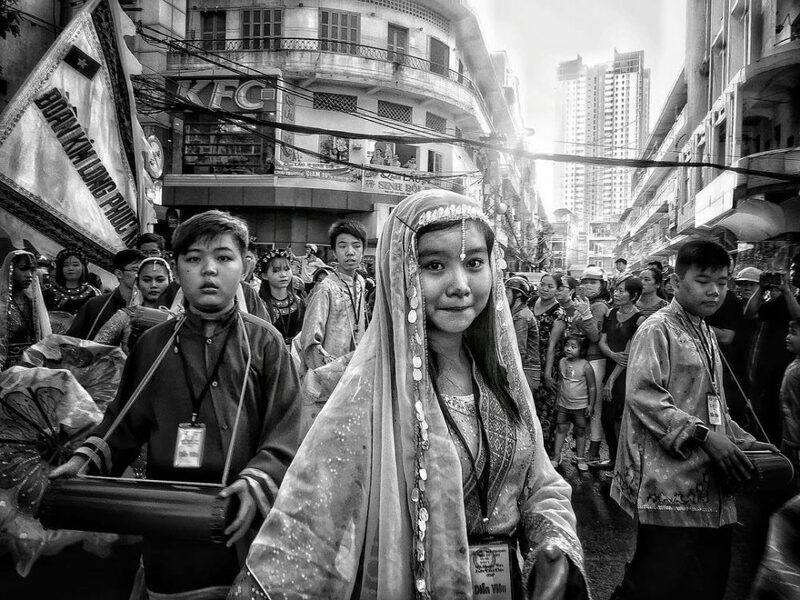 Among many Chinatowns in other places like Bangkok, Singapore, India,…the Saigon Chinatown has its very own distinct traits. 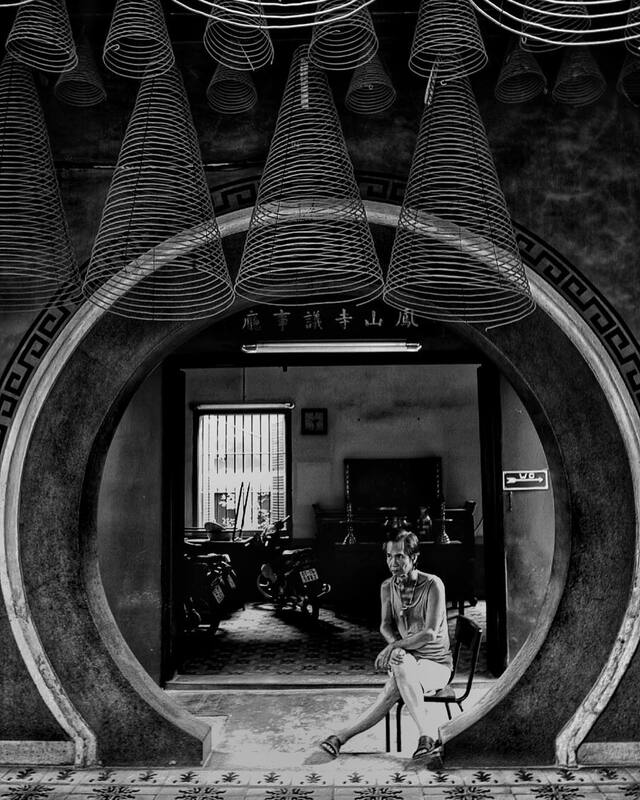 From its origin centuries ago, Saigon Chinatown still plays a role as a home for the Chinese community, contributing to the cultural and economic diversity of Saigon. Venturing through the small valleys in Chinatown walking tour, you can have another look on the economic development and mobility of Saigon and Saigon food tour, besides walking through the luxurious shopping malls, the premium restaurants or the flashing-light-modern streets in District 1.